Facebook is known for their strict adherence to customer privacy and would never breach the trust of their users…just kidding! We all know the popular social network has a questionable reputation when it comes to security. However, their latest update takes privacy intrusion to the next level. If you’ve spotted the new ‘privacy’ tab on the Facebook mobile app, make sure that you don’t get caught out! We’ve got the full scoop surrounding the mysterious Onavo VPN app and its connection to the social media giant. If you were to visit Onavo.com right now, you’d be greeted with a seemingly unremarkable security app offering to protect your portable devices. There’s a considerable lack of information on the product, but those with eagle eyes should be able to spot the ‘VPN’ label. If you regularly use this type of proxy software, you might be wondering why you’ve never heard of Onavo before. In recent weeks, many iPhone users have become aware of the Onavo app. Not because of its immense popularity, but rather because it’s popped up in a pretty surprising place – the Facebook navigation menu. For US Facebook users, a new tab labeled ‘protect’ has appeared, which links directly to the Onavo Protect app in the App Store. It’s not the first time that this mysterious security app has been linked to the popular social networking site. It appeared once before in 2016 and was spotted by UK residents before disappearing again. Onavo Protect claims to provide free protection for all your data and online activity, which sounds too good to be true – and that’s because it is. Minimal digging is required to unveil the harrowing truth about the mobile app. Astute users quickly discovered that Onavo is actually owned by Facebook. The social network – whose customer privacy record is shaky, to say the least – bought the company back in 2013. The acquisition was not widely publicized, and there has been little evidence to link the two organizations since. So, why exactly would Facebook take this quiet diversion into internet security? To understand that, you need to know how a VPN works. Virtual Private Networks (VPNs) are used globally to secure your online experience from the influence of hackers, governing bodies and over-zealous businesses. It works by directing your traffic through an additional server before it hits the web. You automatically adopt the IP address of the second connection point, which hides your real identity and location. The VPN protocol also uses military-grade encryption to make your traffic invisible to potential onlookers. On the surface, it appears that Facebook might actually be affording users long overdue privacy while using the app. In reality, their purchase of Onavo Protect is much more sinister. In layman’s terms, it permits Facebook unrestricted access to all your of traffic and online activity. While it’s true that the VPNs hide your data when connected, the one flaw is that the app provider can see and record everything you do. Because of this, VPN companies work tirelessly to create a trusted reputation for their brand. Some of the most popular services have over 25-years of industry experience – ongoing proof that they are reliable with your sensitive information. Facebook, on the other hand, does not fall into this category. In their 14-years of existence, the network has been plagued with controversies surrounded user security. The controversial Beacon update in Nov ’07 saw users profiles automatically updated with purchases they made. A bug that shared private chat data appeared in May 2010. The automatic location tag introduced later that year was met with concern and skepticism. Even today, Facebook’s default privacy settings leave sensitive data open to the public. The network is also known to target advertisements based on the things you post and share. Recently, the Facebook mobile app came under considerable scrutiny as users were forced to accept terms that allowed the service access to countless data caches on their device – including photos, contacts, and even your microphone. In 2016, a report surfaced showing a significant reduction in the sharing of sensitive information on the platform, as a response to growing privacy concerns. The social network’s retort was to develop new features, reminders, and add-ons that actively encouraged posting personal details for all to see. In short, if you’re looking for a company to trust with your online security, Facebook is not the answer. Facebook explicitly claims that Onavo collects data to gain insights to beat the competition. To achieve this, a bot records your web activity, looking specifically at the websites you visit regularly and how you interact with them. 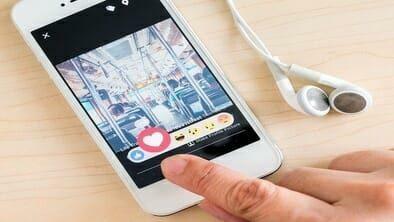 This dataset will allow the social network to create developments that rival those on other popular domains – such as Instagram and Twitter. For the privacy conscious, this is a clear breach of trust. However, some regular Facebook users may not see any problem with allowing Onavo to spy on your browsing habits. If it improves the service and you have nothing to hide, then there’s no problem – right? Wrong! Free VPN software that actually works is like the unicorn of the online world. Speculation around the concept exists, but a genuinely reliable service is yet to be found. Without dedicated funding, it’s impossible to create an app that can keep up with the growing cybersecurity threats. Where free options are available, they often struggle to maintain a connection, slow your system and leave your data vulnerable. If you want to use a VPN service on your mobile devices, there are plenty of alternate options that have proven their worth and provided customers with real security, without leeching their sensitive information. Use the following checklist to choose a provider who will actually protect your online activity. Boasts reviews and recommendations from trusted tech websites. Has received no negative media attention. Includes an active customer support team. Don’t fall into Facebook’s trap; find a reputable provider if you’re worried about your online safety. What the hell Facebook?! Just another reason to stop using social media altogether. What started as a great way to keep in touch with people has turned into a TOTAL invasion of privacy!